Mencken may have been right when he said, “Life is a struggle, not against sin, not against the money power, not against malicious animal magnetism, but against hydrogen ions” (Mencken, 1919; cited by New, 2002) (1). Even in 1919, scientists understood that the food we ingest dramatically affects our physiology. The Western diet has become increasingly acidic throughout the years, especially with the advent of agriculture. Grains have become a staple, and fast meals that are high in protein and dairy and low in fruits and vegetables are now characteristic of the typical Western diet. The changing composition of the modern diet is slowly influencing the composition of the human body, starting with pH. What is pH and its Physiological Significance? Potential Hydrogen or pH, as it’s more commonly known, is a number between 1 and 14 that indicates the acidity or alkalinity of a solution, with seven being neutral. Hydrogen ions in excess cause a solution to become acidic, lowering pH, and removal of hydrogen from a solution, leads to an alkaline state. This means, the lower the number, the more acidic the solution, and the converse is true for a pH greater than seven. The human body has different pH levels dependent upon the region. For example, the optimal blood pH is approximately 7.35-7.451, whereas the pH of the stomach is around 1, and the pH of the entire intestinal tract ranges from 6.3 to 7.52. pH differs based upon the function of a particular region. Enzymes are pH-sensitive proteins that perform various duties, like breaking down macronutrients (sugars, fats, and proteins) into micronutrients (minerals, vitamins and amino acids). If the pH deviates from the enzyme-specific range, food cannot be broken down completely or efficiently, and metabolic mayhem will ensue. Keeping the pH consistent in the body is a team-effort between the pancreas, lungs, and kidneys. Together, these organ systems are continuously filtering minerals in and out of the blood in order to buffer the pH. The pancreas releases the body’s most plentiful buffer, bicarbonate, to help neutralize acids in the intestines. The bicarbonate binds a hydrogen ion, forming a new compound, which is eventually broken down into water and carbon dioxide (CO2). CO2 is released into the blood where it travels to the lungs and is quickly expelled through exhalation. (3,5). It is the job of the kidneys to filter out the rest of the acidic compounds all while recycling and generating bicarbonate. For example, sulfate, phosphate, and chloride are acidic components of food that must be removed from the body through urine in an intricate filtering process that utilizes sodium. (4,5). The kidney also uses a second filtering process specific to protein digestion. The natural breakdown of protein requires removal of a nitrogen group that, when freed from the rest of the protein structure, results in ammonia. The ammonia then goes through a series of reactions enabling urinary excretion as ammonium; (3,1) this process is referred to as the urea cycle. What Happens When the Body Becomes too Acidic? Maintaining an optimal pH is a regulatory system heavily influenced by diet. In healthy individuals, dietary acid content will determine the amount of acid that must be removed via the filtering processes described above. (4). When a diet contains substantially more acidic foods than alkaline, such as in the typical Western diet, a condition called acidosis may occur. 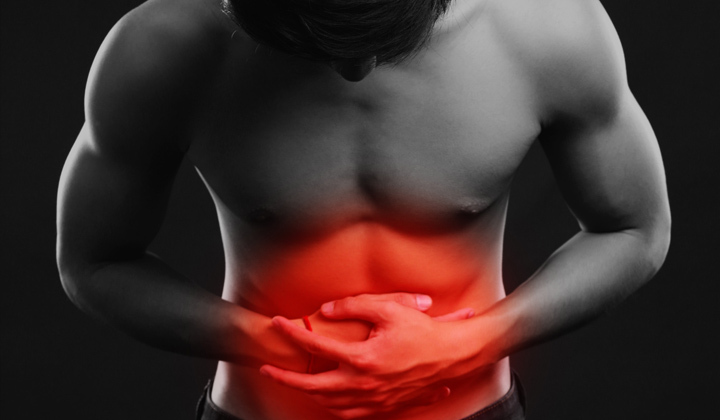 The state of acidosis is determined by comparing daily dietary acid intake to net excretion of acid – meaning, if the acid intake is higher than the output, the result is acidosis. (4). Not having sufficient dietary alkaline intake prevents the kidneys from doing their job: recycling and regenerating bicarbonate fast enough to buffer the acidic load. When the kidneys can’t work sufficiently, the reserves of buffering agents get used up, and there is nothing left to stop the progression into acidosis. (4,5). Acidosis can be acute or chronic. The acute form, also known as metabolic acidosis, is a very serious disease state that requires handling by a physician. It occurs when the pH drops below 7.35 (lower limit of blood pH), indicating the following potential causes: (6). ● Lactic acidosis: usually the result of too little oxygen, liver disease, or vitamin B1 deficiency. broken down as an energy alternative. This process creates a byproduct called ketone bodies that decrease the blood pH. protein diet. Just like in diabetic ketoacidosis, ketone bodies that lower blood pH are produced. ● Renal failure: a person is usually already suffering from chronic kidney disease. ● Intoxication: ingestion of ethylene glycol, methanol, salicylate, and a few other chemical compounds can lead to acidosis. Chronic acidosis can be considered as diet-induced acidosis. (7,8). Acidic foods tend to be high in protein (nitrogen and/or sulfur), phosphate, and chloride. (4,5). As mentioned above, these compounds require a buffer of bicarbonate and alkaline minerals, such as sodium, potassium, calcium, and magnesium. Because the kidneys decrease in function with age, this form of acidosis is potentiated with the natural aging process. (7). Acidification can wreak havoc in the body, affecting the bones, kidneys, and hormones. There is a strong correlation between the typical western diet and bone mineral density (BMD). When there is not enough bicarbonate to keep up with buffering needs, bone is broken down to release calcium and potassium. Acidic hydrogen ions insert themselves directly into the bone to replace the lost minerals. This has been demonstrated with even slight drops in pH9 and has been halted with bicarbonate administration, indicating acid accumulation and bicarbonate depletion are responsible for changes in BMD. (1). This is also evidenced by increased urinary calcium loss. (9,10). Prolonged acid exposure, even at slight levels and especially with increasing age, could lead to osteoporosis. (1,9). Increased calcium excretion is also common to kidney stone formation. Citrate binds to calcium in urine, creating a soluble compound that prevents kidney stones from forming. 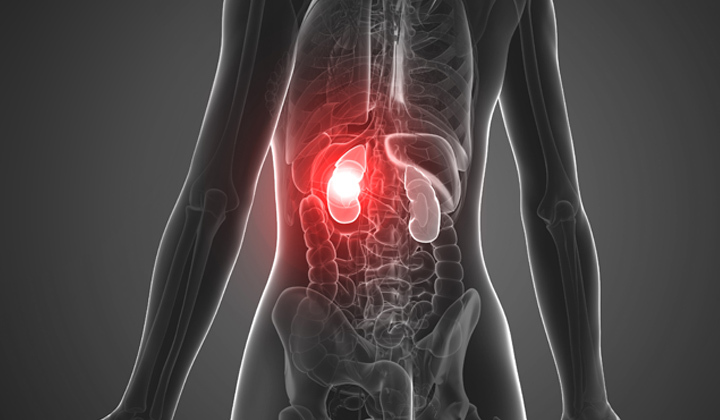 In cases of chronic acidosis, the volume of citrate entering the urine decreases, resulting in a greater chance for kidney stones to develop. (10). Increasing citrate consumption through citrus fruit, their juices, tomatoes, and melons (11) can help increase the amount of citrate present in the urine. (10). Hormonal changes also result as consequence of chronic acidosis. Similar to cases of mild hypothyroidism – decreased thyroid hormone and increased thyroid stimulating hormone may occur with chronic acidosis. (10). Increased protein consumption requires cortisol (stress hormone) to initiate removal of nitrogen from a protein. This means a diet high in protein results in an increase in cortisol production. (12). Chronically high levels of cortisol is known to decrease insulin sensitivity, resulting in an increased risk of Type 2 Diabetes. Which Foods are Acidic? Alkaline? 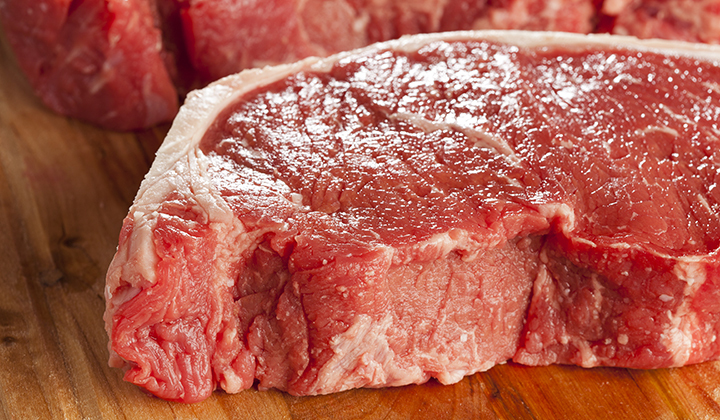 Protein, especially from animal sources, contains amino acids (protein building blocks) that include sulfur. While sulfur is important in the body, especially for detoxification, it also contributes to the formation of sulfate, which is a harmful, acidic compound. (4,7). A study looking at the mineral content and acidic influence on urine of various foods revealed that meat, dairy, and grains were the worst offenders for acidic constituents. They were also most likely to increase the urinary acid load. Most notable for sulfate and chloride content were meats, with processed forms being the worst offenders, and dairy products, of which cheese ranked amongst the highest. 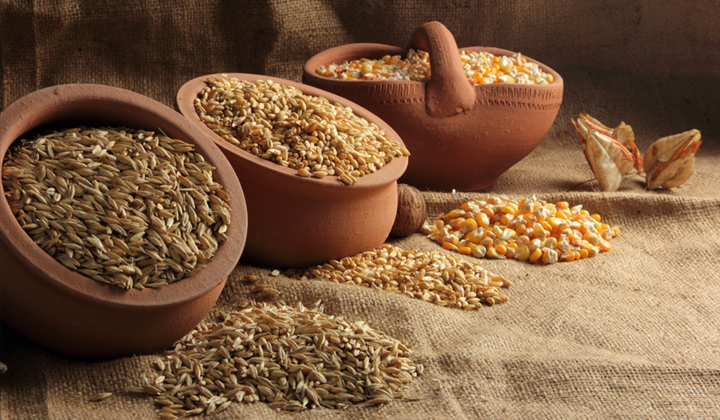 Cereal grains contained considerable amounts of chloride (breads) and phosphate (rice and pastas). Dairy, cereal grains, and sweets (like cake and milk-chocolate) were high in both phosphate and chloride. (7, 13). One study investigating dietary influence on the urinary pH of men found that those with an alkaline pH consumed approximately 11g fewer cereal grains per day than the group with a urine pH in the acidic range. (14). Fruits and vegetables had the opposite effect, being most likely to increase urinary pH due to their density in alkalizing minerals like potassium, calcium, magnesium, and in some cases, citrate. (11,13). Fruits and vegetables do contain a large amount of phosphate, but it’s less of a concern from plant sources because the bioavailability is poor compared to dairy and grain sources – very little is absorbed. (15). The key to an omnivorous diet is balance. Animal products provide essential amino acids and vitamins, like B12, that are very hard to obtain on a vegetarian diet and nearly impossible to obtain through a vegan diet without supplementation. Trying to replace vegetarian protein for animal protein will not help skirt the issue of protein acidification as vegetable proteins have proven to be acidic like their animal counterparts. (1) Protein is also very satiating, making it a qualified candidate for appetite control, potentially giving rise to increased lean muscle mass and increased insulin sensitivity. (12). Potassium seems to be the most important alkalizing mineral to obtain. Abnormally low levels of potassium are associated with increased protein breakdown and higher levels of ammonium excretion, (16) promoting a state of chronic acidosis. Analysis of fruit and vegetable mineral content indicates that potassium heavily outweighs calcium, sodium, and magnesium, (13) qualifying fruits and vegetables to be the best addition to an acidic diet. The fiber content of plant foods is an added bonus with its ability to help regulate blood sugar and combat the insulin resistance potentially brought on by an acidic diet. One final component to this balance is water. Mineral water is a great source of alkalizing minerals and those rich in calcium have been shown to possess similar or better absorption than dairy sources. (17). Besides containing alkalizing minerals, water is necessary to combat the dehydration that comes along with increased acidic load. Because the majority of acid is lost through urine, increased acidic compounds require a greater amount of water for excretion. The ingestion of lemon water, small amounts of sodium bicarbonate, and apple cider vinegar are also excellent ways to naturally increase alkalinity. Balancing acid in a diet with high alkaline foods should be a priority. Complete nutrition should always consist of whole foods in a proportional manner. Animal protein contains essential amino acids, healthy saturated fats, and vitamins that cannot be obtained from any other food source. However, protein, dairy, and grains should be a smaller portion of the diet than fruits and vegetables, especially in the case of chronic acidosis. A variety of vegetables and fruits should be consumed with every meal to balance the acidity of the Western diet. 1. New, SA. The role of the skeleton in acid-base homeostasis. Proc Nutr Soc. 2002;61:151-64. 2. Evans DF, Pye G, Bramley R, Clark AG, Dyson TJ, Hardcastle JD. Measurement of gastrointestinal pH profiles in normal ambulant human subjects. Gut. 1988;29:1035-41. 3. Atherton, JC. Acid-base balance: maintenance of plasma pH. Anaes & Intens Care Med. 2009;10(11):557-61. 4. Hurley JK. Acid-base balance: normal regulation and clinical application. Curr Probl Pediatr. 1979;9:1-43. 5. Koeppen BM. The kidney and acid-base regulation. Adv Physiol Educ. 2009;33:275-81. 6. Lim, S. Metabolic acidosis. Acta Med Indones. 2007 Jul-Sep;39(3):145-50. 7. Adeva MM, Souto G. Diet-induced metabolic acidosis. Clin Nutr. 2011;30:416-21. 8. Vormann J, Goedecke T. Acid-base homeostasis: latent acidosis as a cause of chronic disease. Swiss J Integr Med. 2006 Sept;18:255-66. 9. Krieger NS, Frick KK, Bushinsky DA. Mechanism of acid-induced bone resorption. Miner Metab. Curr Opin Nephrol Hypertens. 2004 Jul;13(4):423-36. 10. Wiederkehr M, Krapf R. Metabolic and endocrine effects of metabolic acidosis in humans. Swiss Med Wkly. 2001;131:127-32. 11. Heilberg IP, Goldfarb DS. Optimum nutrition for kidney stone disease. Adv Chron Kidn Disea. 2013 Mar;20(2):165-74. 12. McCarty MF. Acid-base balance may influence risk for insulin resistance syndrome by modulating cortisol output. Med Hypoth. 2005;64:380-4. 14. Welch AA, Mulligan A, Bingham SA, Khaw K. Urin pH is an indicator of dietary acid-base load, fruit and vegetables and meat intakes: results from the European Prospective Investigation into Cancer and Nutrition (EPIC)-Norfolk population study. BJN. 2008;99:1335-43. 15. Massey L. Dietary animal and plant protein and human bond health: a whole foods approach. ASNS. 2003 Mar 1;133(3):862S-65S. 16. Atherton JC. Role of the kidney in acid-base balance. Anaes & Intens Care Med. 2006;7(7):234-36. 17. Wynn E, Kreig MA, Aeschlimann JM, Burckhardt P. Alkaline mineral water lowers bone resorption even in calcium sufficiency: alkaline mineral water and bone metabolism. Bone. 2009;44:120-4.